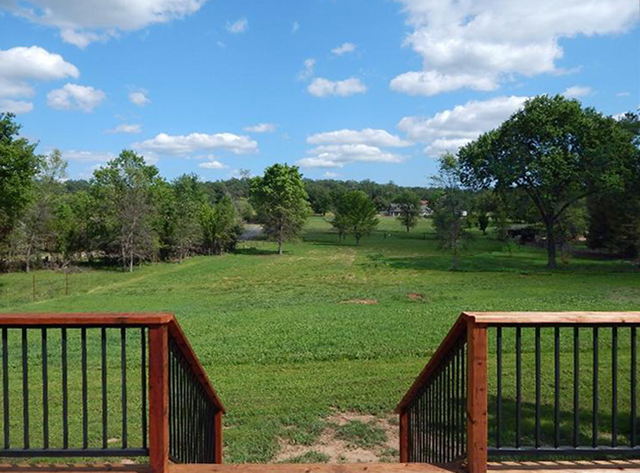 Looking out over the meadow (sharp, MLS listing pic). 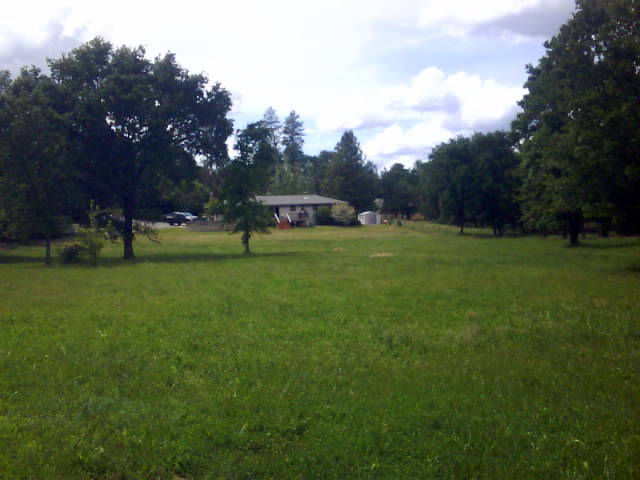 Looking back at the house from the far fence-line (crappy cell-phone pic). The Supremes are teaching Americans a lesson and it’s that America’s got Talent! They have proven by an rambling legalistical formulation drawn from a massively confusing rug of mis-woven regulations, thick with tortured paragraphs and water-boarded dangling participles, that they are truly the third playing-party of .GOV and not exactly an independent or impartial arbiter – since Congress only has to lay-down and pass such a thick and tawdry (2,000 un-read pages) excretion, pebbled with undigested bits of non-aligned thinking and regurgitated kernels of misdirecting caveats, folded-over and funneled into a contorted conclusion, to trip and slip-on as they stumble over it before they finally arrive on stage, ready to tell the long-long joke. What DO you call an act like that? – I call it ‘The Judicicrats’. Facebook or NRA? I got your actual social-network right here. H/T Maddened fowl we are directed to an interesting analysis of an actual Social-Network that is vibrant and active, isn’t tanking in the stock-market – and is over 100-years old. NRA: A Social enterprise? Definition: A nonprofit venture that combines the passion of a social mission with the discipline, innovation, and determination commonly associated with for-profit businesses. Suitability: NRA was established “to fund firearms, hunting safety and educational projects of benefit to the general public”. NRA (love ‘em or hate ‘em), boasts membership of 4.3 million loyal fans and advocates. Their 2012 Annual General Meeting had 73,740 attendees, whereas the Oracle of Omaha, Warren Buffett (Berkshire Hathaway) had 40,000 attendees! In 1990 The NRA Foundation was established – obviously to capitalize on the immense membership draw the NRA has, currently at 4,300,000 registered members. At $35/year, or $1,000 “lifetime” membership, it is easy to see how the NRA boasts revenue last year of over $237,500,000. No, really, this is what they’re going with. At first I was enamored by the surface of this protest, to see the reflection of my own handsome face in the mirror-pond, wearing my old Youth Brigade beret and flowing hair – and feel the immense rippling power of my collective awesomeness. Then the waters actually did ripple and with consciousness I saw my balding Earthworm Jim visage, the thin gray chest hair, and my delusion of grandiosity died. If there was ever a DoubleTalk-DoubleSpeak award this might get it. If the googly-eyed pinchy botox-faced Nancy Pelosi, the sad-clown Communist Barbara Lee, and psychotically deranged Lynn Woolsey gave money to it, it must be self-serving. If scumbucket George Soros is for it, beyond simply being bad it is very likely to be evil. The Incumbents and Political Master-Class want their power back and the will pay millions in their effort to return control to themselves. 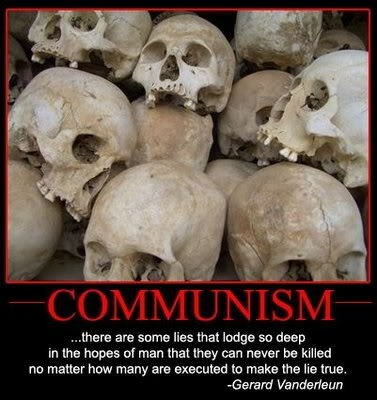 They want to eliminate the little people who are on the Commission and return it to the untrustworthy, lying fat-cats of Incumbistan. For the greedy stupid Pasha’s to get their power back they preform Jihad on the electorate and Taqiyya. The lying. Mike Honda, shame on you! Bastards! No to 27 – this stuff is the ugly sausage-factory of politics. There’s more detail at those links, but to paraphrase Napoleon the pig (who was based on Joseph Stalin) in George Orwell’s Animal Farm, some pigs are more equal than others.